Gossamer Gear was one of the first cottage manufacturers to bring lightweight backpacking gear to the masses. At the time, they embraced silnylon and spinnaker fabric. In the following years, while quantities often ran small, what stayed consistent were thoughtful and functional designs and well made products. Gossamer Gear continues to press into the cuben fiber market, or by the industry name, Cubic Tech CTK non-woven laminate that is exceptionally waterproof and lightweight, with the offering of two new products made from their headquarters in Austin, TX. 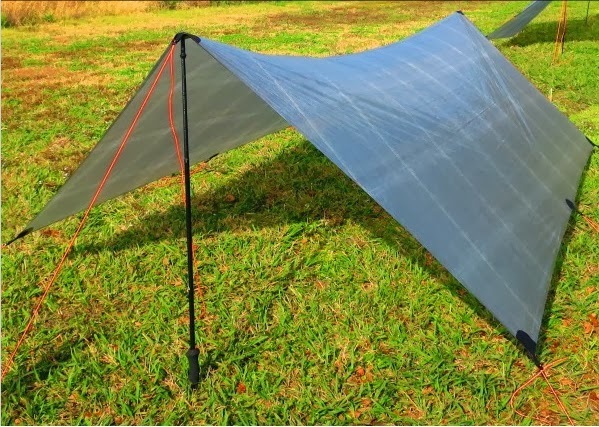 The Q-Twinn Tarp (7oz / $315) is an ultralight catenary cut tarp made for two people. Seams and tieouts are fully bonded, meaning there isn’t a single stitch so you can avoid seam sealing. The color is a translucent black. At 7oz, you’ll be hard-pressed to find a lighter and more sizeable alternative. The Ultralight Storage Q-Series ditty bags (2-6g/$15-$16) are two products that I think the industry has been missing. Both are made from cuben fiber. 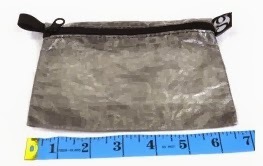 One is a zippered ditty bag (6.5” x 5”) which comes with a small loop of lashing which means it can be fastened to the outside of a pack, branch, shower head, or ridgeline without a fuss. This is great for anyone who doesn't want to deal with a draw string and wants a shallower and wider option to more easily see the contents of the bag. The second is a 10” x 3.3” stake bag. Having a place to store dirty shelter stakes without using a plastic bag or other option which does nothing but puncture or spread soil around is a great help. At 2-6 grams, they are unnoticeable, and at $15-$16, they are quite affordable. In the not too distant past, I raved about a very small cottage manufacturer of sleeping pads. I won’t mention the company here, because unfortunately the owner/operator fell behind on his work and his solution was to keep taking orders (customer money) without providing a product. His business is now defunct. One of the products he offered was something that the industry hadn’t seen – an inflatable sleeping pad that tapered both vertically and in width and length. It meant you could get a ton of cushioning and girth around your torso and have it taper down at the knees where padding, width and extra weight simply isn’t necessary. By the time his business closed, he was adding synthetic insulation to it which made the pad into a 4-season option. I had one of his prototypes and the valve simply never worked. Other than the valve though, it was beautiful and was hands-down my favorite pad. I returned it to him for a new valve and never saw the pad again. Several years passed since then and I’m pleased to announce that Gossamer Gear has partnered with Klymit to offer the Gossamer Gear Air Beam Sleeper. Like the prototype I miss so dearly, the Gossamer Gear Air Beam Sleeper also tapers both vertically and in width and length. It comes in 4 sizes and ranges from 7.2oz to 13.80oz. Pricing is $82 to $99. While the Gossamer Gear Air Beam Sleeper is not insulated, it works just fine for 2-3 season use as-is, or a simple foam pad can be added for increased warmth. 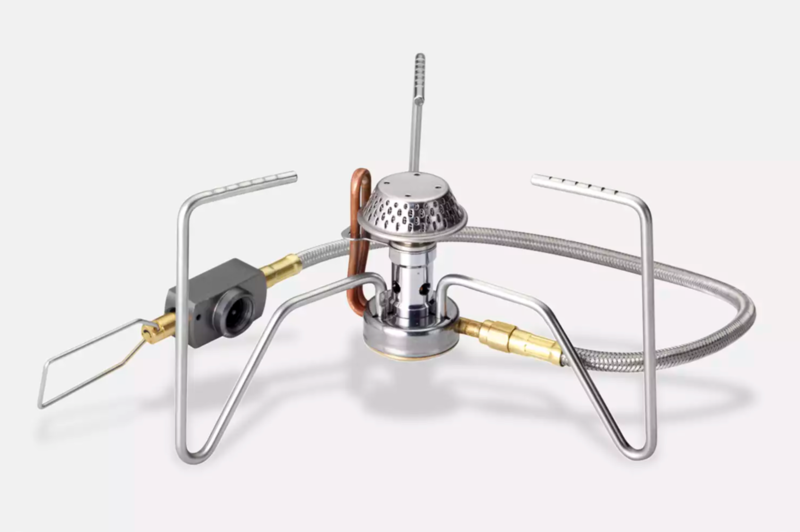 Gossamer Gear includes a patch kit and extra valve with purchase. One thing I really like about the Gossamer Gear Air Beam Sleeper is that it has tabs on the side for quilt users to be able to secure their quilt to the pad - a great feature for those of us in the lightweight backpacking community. I like the Gossamer Gear Air Beam Sleeper quite a bit, but there are some drawbacks. First, I’m not aware of a creative solution to blow it up without using my mouth which means it gains condensation fairly quickly. Second, while it is refreshing that different sizes are offered, I’d like to see one that was considerably wider. At 6’5” and 280 pounds, I wear a 54 wide jacket which means I’m very broad shouldered. I figured the 28” wide XLARGE would suit me just fine, but it isn’t quite big enough as the pad loses measurable width when inflated. Regardless, Gossamer Gear has introduced another great product and I truly hope it evolves into a padded and wider product that will stay on the market. Michael Dally with Earth Runners was kind enough to send me sample of their new Bio Earth Runners Sandal which is currently associated with a Kickstarter campaign. If you choose to contribute, sandals start at $60 (or 20% off). Orders will be taken throughout December and dispatched in January. After January, they will be available on the Earth Runner website (www.earthrunners.com). The footwear industry over the last several years has been pressing consumers to try footwear with less padding ultimately mimicking a barefoot walking style. There are many clever names for this movement, but the concept remains the same. The spirit of this movement is the belief that by walking closer to the ground and having less robust footwear, the foot is strengthened and walking consciousness and body mechanics are improved. What put Earth Runners on the map is that they uniquely focused their initial product offerings on being connected to the Earth’s electrical potential by strategically placing copper insets throughout a self-molding conductive sandal sole. The copper insets curve at the toe base in the shape of the geometric concept called “Golden Mean”. This shape, coupled with the copper insets, allowed for pressure to be placed on areas of the foot sole believed to offer self-healing effects similar to those achieved by acupuncture. While wearing a pair of Earth Runners associated with this technology, Voltmeter tests confirmed the charge of the human body is negligible while wearing grounded footwear on the Earth’s naturally conductive surface – the same electrical potential as the Earth. The Bio Earth Runners Sandal is the next iteration of minimalist footwear inspired by long distance runner. With a custom molded sole and “zero drop” from heel to toe, the experience is similar to going barefoot while maintaining safety in varied terrains. The foundation provided is stable. Copper impregnated conductive laces attach to a copper plug on the bottom of the sandal allowing similar attributes to the conductive sandal soles as described above. The Tactile Mitosis tread is made of moldable EVA (6mm) and the BioTac bedding is made of recycled car tires. One of the unique features of the Bio Earth Runners Sandal is the lacing system. Nylon webbing is routed through the sandal bed, around the big toe and ankle and is ultimately secured with a locking buckle. It is entirely adjustable, although it is likely they will fit just fine out of the box. While not necessary, Earth Runners offer Injinji socks whether to improve comfort or to keep feet warmer during cooler temperatures. In the last two years, I’ve been asked to review three different sandals which were very similar to the Bio Earth Runners Sandal. After receiving and fiddling with each, I decided to return them as I didn’t feel my finicky feet justified an extended trial and quite honestly – I didn’t find them comfortable. Largely, I have fairly wimpy feet and prefer more coverage and greater padding in most circumstances. I was pleasantly surprised when I tried the Bio Earth Runners Sandal. As advertised, the Bio Earth Runners Sandal both immediately contoured to my foot and I didn’t need to adjust anything. I elected to use Injinji socks initially due to my lack of foot machismo, but found them comfortable with or without. They were quite stable in all environments and the traction, something that lacked in every other sandal I’ve tried, was significant. I found myself thinking about other things rather than worrying about whether my foot was comfortable or if I’d slip. Essentially, my experience was walking as if I was barefoot without the fuss of being concerned about stepping on something undesirable or the sandal slipping out from under me. I hope this is interpreted as a high complement to be able to rely on a piece of gear without giving thought to its failure. This was also my first use of Injinji socks which I assumed wouldn’t be comfortable because I figured my toe shape wouldn’t be conducive to the unique “finger” design. I was equally surprised that they proved to be out-of-sight and out-of-mind once properly snugged over each toe. Pairing them with a sandal is very appropriate in my opinion, although vocal fashionistas may disagree. In the lightweight backpacking world, I can perceive quite a few applications for the Bio Earth Runners Sandal. First, there are plenty who would enjoy the simplicity and near weightlessness. 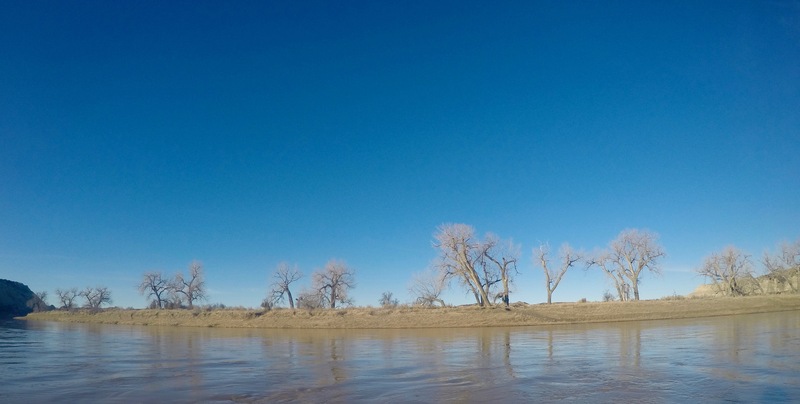 Others would take pride in being able to walk through varied terrain, including forging waterways, without stopping to swap-out or dry-out footwear. Some would likely enjoy the fact that their feet wouldn’t be as susceptible to sweating and resulting blisters or the dinginess that sticks with more conventional footwear. Finally, others would likely enjoy simple and lightweight footwear to do double-duty as camp-footwear or for water crossings. Bottom line – this is a useful product for lightweight backpackers and my only suggestion for improvement is for a slightly longer webbing tag to allow for finite adjustments as desired. By supporting the Kickstarter campaign, materials and manufacturing costs are kept to a minimum. You also help towards the down-payment of a new manufacturing facility and legal expenses to get this endeavor off the ground. Earth Runners offers a 30-day money-back guarantee – so what’s not to like?